Google Phone will be available in US market from 22nd October 2008. It will be launched by T-mobile. 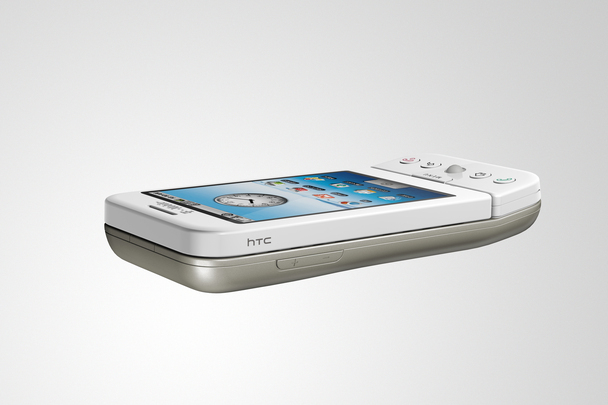 Mobile handset is manufactured by HTC. It will compete with Apple iPhone. Update: This phone is coming to India this December. More features detail on T-mobile site. This entry was posted in Google and tagged G1, Google, Google Phone, Gphone, HTC, iPhone, T-mobile. Bookmark the permalink. How much is the cost of this mobile in india. If it is below 15000/- one can go for it,its a fact that all of the features in this mobile cant be used in india. (3g support is required for some apps). I think you should check price details & lunch dates from HTC India. 3G is lunched in India yesterday. You can access 3G services from MTNL.